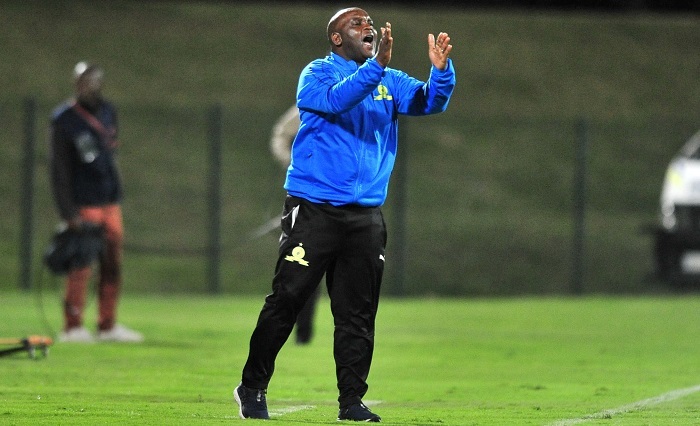 Mamelodi Sundowns coach Pitso Mosimane wants his team to beat ASES Mimosa, even though they do not desperately need the result. After defeating Black Leopards 3-1 in the Absa Premiership on Wednesday, Sundowns jetted off to Ivorian capital Abidjan immediately to begin their preparations for the return leg against ASEC Mimosas on Tuesday. Sundowns travelled with their regulars to Abidjan and will be looking to become the first team to score against Mimosas at home in this year’s Champions League campaign. While Sundowns share top spot with Wydad Athletic Club on six points apiece, Mimosas are third in the group, also tied on three points with Nigeria outfit Lobi Stars, but with a better goal difference. The Brazilians came out 3-1 winners in the last game the two sides square off at Loftus Stadium in Pretoria. ‘A win in Abidjan is very important for us and we must also win against Lobi Stars so that when we go to Casablanca, we don’t go there desperately needing a result,’ Mosimane told the Caf official website. Mamelodi Sundowns are set to take on ASES Mimosa in their Caf Champions League Group A encounter at the Stade Felix Houphouet-Boigny on Tuesday with kick off set for 6pm.